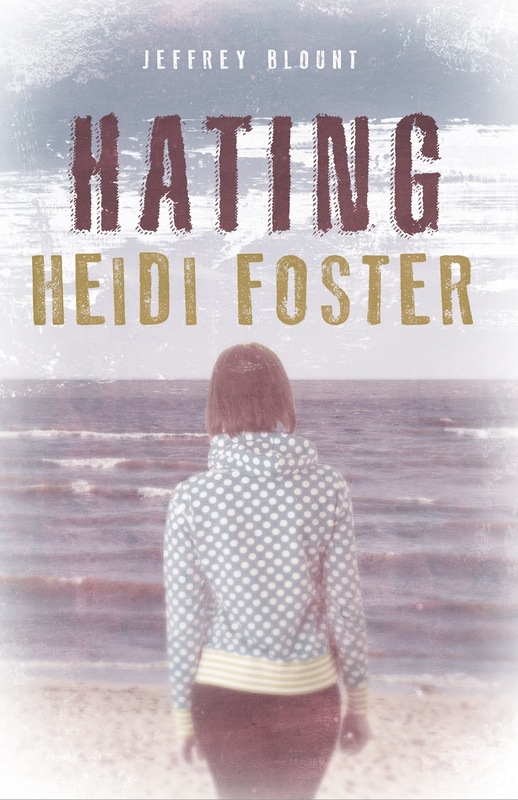 Goodreads: "Hating Heidi Foster, is a young adult novel about the place of honor true friendships hold in our lives. It is about suffering and loss and the ethics of grief. It is about a deep and painful conflict, the bright light of selflessness and sacrifice and the love that rights the ship and carries us safely to port." It was a simple and probably inconsequential moment in time for my daughter, Julia and her long-time friend, Emily; the two of them sharing a brief spell of laughter as they passed each other in a room full of friends. For me it was much, much more. In that instant, my smile reflected years of memories. At this particular instant, they were seniors in high school, but I was drawn backwards to the vision of two little girls laughing together. I could see them growing and sharing life in the way true best friends do. I became nostalgic and at the same time a little fearful. In only a few months, they would be graduating, going off to different colleges and then on to adulthood where they might be half a country or world apart. When life intruded, how much of their friendship would they remember? Would they be able to continue to make time for each other? Would their children ever know about the bond they shared? I loved to write. The manuscripts hiding in drawers in my desk or in folders on my computer were a testament to that fact. What if I wrote them something? It might be the perfect tribute. They could carry a book with them and if they lost track of each other, maybe they'd pick it up from time to time even if just to pack it in another box. But while moving it, the story might bring them back to each other and maybe even inspire a phone call or two and a trip down memory lane. Most importantly, it might remind them of just how important they were to each other’s development as a human being. In the early mornings and late at night, I wrote and when they graduated, I handed each of them a double-spaced manuscript in a binder bought at a local pharmacy. They both were touched by the gift. I don't know which they appreciated more, the effort or the manuscript. Either way, I had achieved my goal of a written tribute to a very special friendship. As an added bonus, I thought I'd also created a very good story. 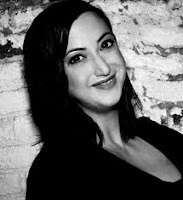 A friend of mine is a literary agent for adult fiction. Even though I knew this was young adult material, I sent the book to her and she responded by saying that she couldn't put it down and that it brought her to tears. She only had one contact within the YA genre and she sent it off to that publishing company. I waited and waited. Months went by. Finally, we heard that while the book had enjoyed quite a lot of support within the company, the final decision was not to publish. I thanked my friend for her efforts and left the book in another folder on my laptop. Maybe two years later, a good friend of mine and regular tennis partner asked about the manuscript. I told him that I had filed it away. I told him that I had tired of the whole agent/publisher thing. It took too long and I was too busy. He said he understood, but also wondered whether it wouldn't be nice to put a real book in Julia's and Emily's hands. After thinking about it some more, I agreed. Not long after, Alluvion Press teamed up with 1106 Design to create the wonderful cover and to provide editing and typesetting. Alluvion then contracted with The Cadence Group to prepare an online presence and marketing and finally New Shelves Distribution for warehousing, distribution and additional marketing. Four years after the manuscripts in binders were delivered, the real book, Hating Heidi Foster, was published. Julia and Emily received their books as young adults, just months after graduating from college, both of them now teaching in inner-city teaching programs, half a country apart. But it seems that I shouldn’t have been too worried. Julia and Emily are still very much in touch, having visited each other in college, logging Skype hours and even as I write this, they have plans to be together over the holidays. Still, I am happy that they have the book. Just in case. 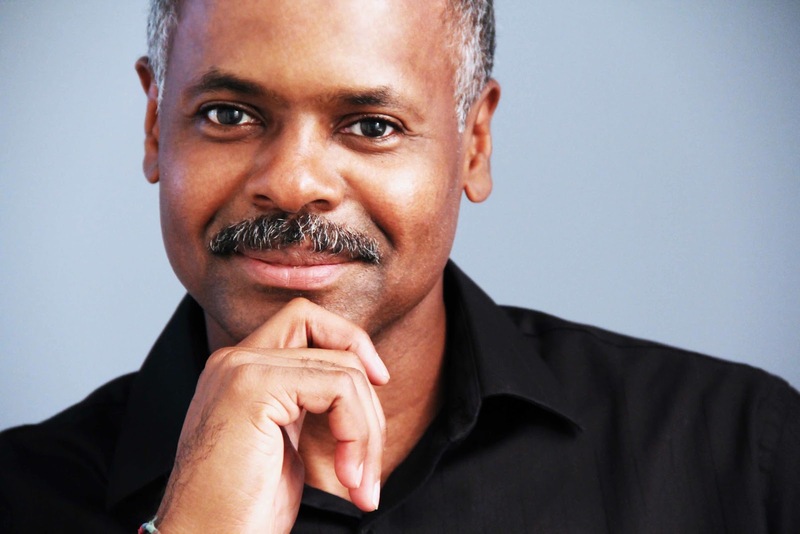 Thanks to author Jeffrey Blount and The Cadence Group for this guest post. I'm not in love with the book cover but I started to read and was grabbed by the very first sentence. "A certain feeling comes from throwing your good life away, and it is one part rapture." 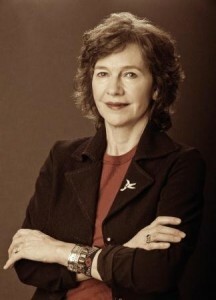 Publisher's description: "In the lyrical language of her native Appalachia, Barbara Kingsolver bares the rich, tarnished humanity of her novel's inhabitants and unearths the modern complexities of rural existence. Flight Behavior takes on one of the most contentious subjects of our time: climate change. With a deft and versatile empathy Kingsolver dissects the motives that drive denial and belief in a precarious world." Have you read this novel and, if so, what do you think? 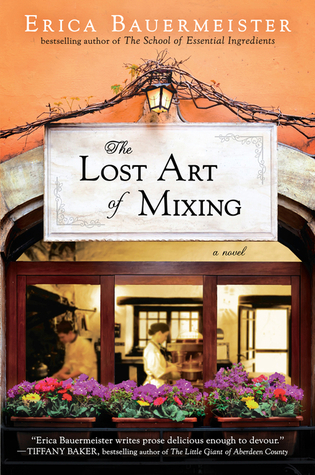 Publisher's description: "Lillian and her restaurant have a way of drawing people together. There’s Al, the accountant who finds meaning in numbers and ritual; Chloe, a budding chef who hasn’t learned to trust after heartbreak; Finnegan, quiet and steady as a tree, who can disappear into the background despite his massive height; Louise, Al’s wife, whose anger simmers just below the boiling point; and Isabelle, whose memories are slowly slipping from her grasp. And there’s Lillian herself, whose life has taken a turn she didn’t expect. . .
Their lives collide and mix with those around them, sometimes joining in effortless connections, at other times sifting together and separating again, creating a family that is chosen, not given. A beautifully imagined novel about the ties that bind—and links that break is a captivating meditation on the power of love, food, and companionship." Comments: A novel about a marriage that disintegrates, a love that thrives and blooms, about young love and careers, and about growing old. 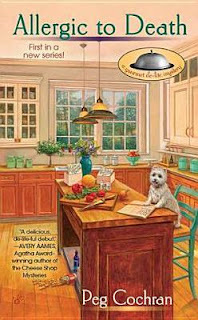 These revealing stories about various aspects of life are deftly drawn together, centered around Lillian's restaurant. 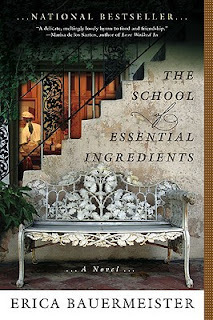 ERICA BAUERMEISTER is the author of The School of Essential Ingredients and Joy for Beginners. She lives in Seattle with her family. of this book for review. For other book reviews, visit the book tour. 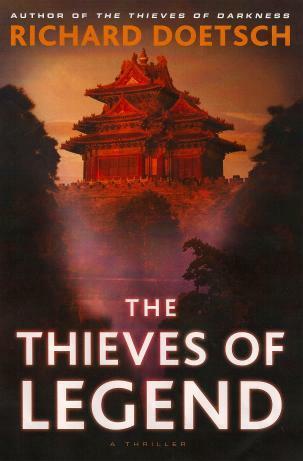 Publisher's description: "Second in the Thieves series after The Thieves of Darkness —reformed thief Michael St. Pierre and his crew travel to China on behalf of the U.S. government to obtain a legendary diary that holds the clue to a long-forgotten mystery. On the trail of a mystery with roots more than a half- millennium in the past. Michael and his ex-girlfriend KC Ryan are coerced by a U.S. Army colonel to travel to opposite ends of China, each responsible for stealing an artifact to help solve an ancient puzzle. They face off against the complex underworld of the Chinese triads, a female assassin, and a madman whose only desire is to possess the secret held within the pages of a diary supposedly lost to time—a secret that would give him frightening power and lead to the downfall of nations. 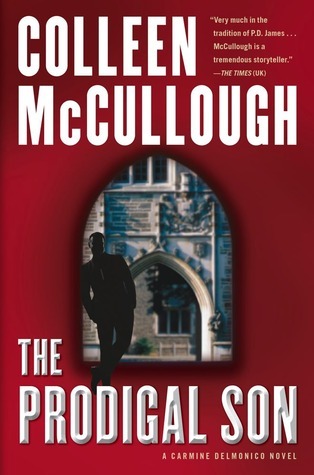 Moving from the glittering casinos of Macau to its dangerous backstreets; from the palace at the heart of China’s Forbidden City to the medieval castles of Spain; from the mansions on the Amalfi Coast, to an uncharted pacific island, Michael is in a race to solve the riddle and save KC from certain death." I may have to sit a long time waiting to see if I'll be placed on a jury this week. Jury duty! They advise you to take a book along. Let's see, what shall I take? My Kindle of course. It has over one thousand books that I haven't read, including a new one I bought for $12.99!!! 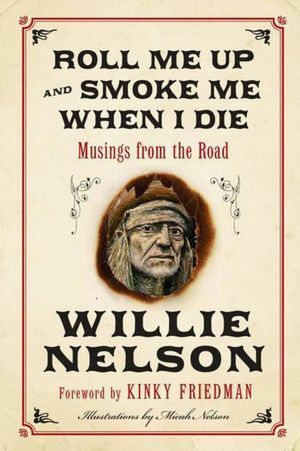 I rarely buy for Kindle, so I should go ahead and read the book, no? in my purse, along with the Kindle, that is. 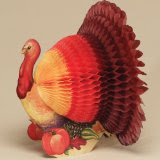 Among all the things to be thankful for - friends and family this past year, facebook and blogging friends, and the good books I have read and loved, and even the ones I've had reservations about, in part or the whole. 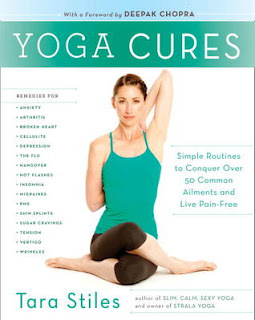 One of my few book purchases this month has been Yoga Cures: Simple Routines to Conquer More Than 50 Common Ailments... by Tara Stiles. It has yoga positions that are familiar but geared towards helping with common and not so common ailments like acne, the flu, a broken heart, traveler's anxiety, wrinkles, and getting some zzz's (sleep)! It's a fun book to read if you already do some yoga, and doing the poses are a good way to get in your exercises, even if you don't suffer from any of the ailments it helps to cure! Inversion poses, for instance, can help to get blood and oxygen to the brain and help wake you up if your thinking processes are slow at the moment. In any case, if you find yourself standing in a long line on Black Friday, just bend forward from the waist a few seconds to stay awake! This is the 18th in the Joel Grey Mystery series, featuring several talking cat sleuths. I have not read many of the talking cat mystery novels, preferring dogs in crime fiction, but I was willing to give this new book a try. 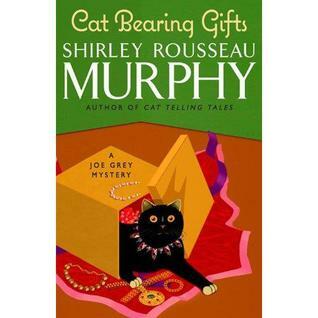 I liked the cover of the book, the colorful artwork and the cat decorated in jewels. The first half of the book was enjoyable. I didn't mind a group of speaking cats who could use cell phones to dial 911 or call their friends or owners in the course of the mystery. But once the novel began to discuss trips to the Netherworld where a strange world existed underground, a place that may be the origin of the mystical powers of cats and the source of the jewelry, and once two of the cats began to squabble like humans about whether or not to take a trip there, well...... that stretched it a bit for me. The crime plot by itself would have been fine, even with speaking cat sleuths. I would have preferred to see the rest, the mystical parts, taken out of this mystery novel. 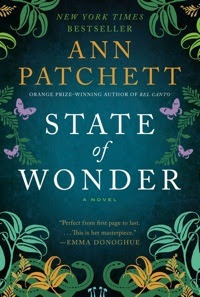 Publisher's book description: "On the way home from visiting their friend Kate Osborne in San Francisco, tortoiseshell cat, Kit, and her elderly housemates, Lucinda and Pedric Greenlaw, are hurt in a car crash on a winding coastal road. Then two men steal the Greenlaws' town car, making off with a secret hoard of jewels and gold hidden inside its doors. As paramedics rush the Greenlaws to the emergency room, Kit hides from hungry coyotes in the forested hills above the highway, waiting for Joe, Pan, and their human companions, Ryan and Clyde Damen, to rescue her. Back home in Molena Point, Joe Grey and his tabby lady prowl an abandoned stone cottage where they've discovered two rough-looking men hiding. The cats smell mildewed money, and soon smell human blood, too, and they wonder: Could these unsettling incidents be tied to the injury of the Greenlaws and to the theft of their car and treasure? Could they be, as well, part of the larger mystery involving the very source of the cats' magical powers? 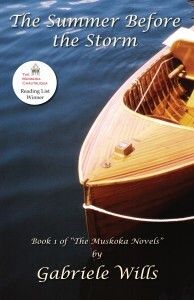 Though the cats know more than the thieves about the unique items stolen, only slowly, and after two sudden murders, do they claw their way to the truth, examining the source of the gold and jewels, understanding the secrets of the moldering treasury bills—the mystery of their source, generations past..."
Virtual Author Book Tours presents The Summer Before the Storm: The Muskoka Novels Book 1 by Gabriele Wills, published 2006 by Mindshadows and available in paperback and Kindle. An orchestra played softly in the minstrel's gallery above so as not to interfere with the conversations of the hundreds of diners. Potted palms were interspersed among the crisply-linened tables. Guests were arrayed in their finest silks and diamonds. It was hard to believe that they were virtually in the primitive backwoods of Canada. DESCRIPTION: "It’s the Age of Elegance in the summer playground of the affluent and powerful. Amid the pristine, island-dotted lakes and pine-scented forests of the Canadian wilderness, the young and carefree amuse themselves with glittering balls and friendly competitions. In the summer of 1914 the destitute son of a disowned heir joins his wealthy family at their cottage on Wyndwood Island. Jack is introduced into the privileged life of the aristocratic Wyndhams and their social circle; he seeks opportunities and alliances to better himself, including in his schemes, his beautiful and audacious cousin, Victoria. But their charmed lives begin to unravel with the onset of the Great War, in which many are destined to become part of the “lost generation”. Comments: It was interesting to get a glimpse of life in 1914 and later during WWI of some of the wealthy families in Canada, their lives of leisure, their family intrigues, and whose lives were later drastically disturbed by the war. Book I ends somewhat abruptly with lives hanging in the air in the middle of WWI, so to speak, and the reader wants to continue on to Book II to find out the outcomes. 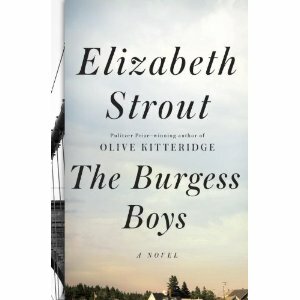 An historical novel describing family life in the first half, with much more dramatic action in the second. A good addition, I think, to the novels of Canadian history. Gabriele Wills has written five historical novels, weaving compelling stories around meticulously researched facts. 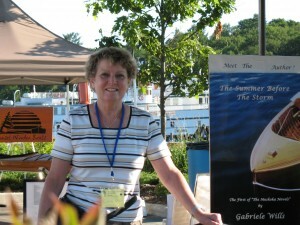 With degrees in the social sciences and education, Gabriele has had a varied career as an educator, literacy coordinator, and website designer, and has been an active community volunteer, particularly in heritage preservation. 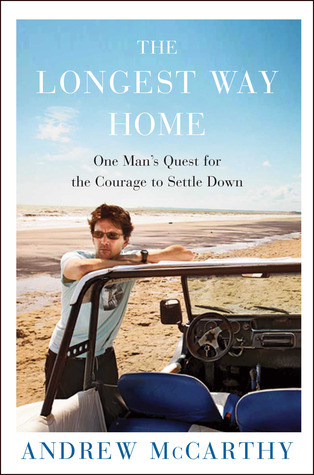 Thanks to the tour and the author/publisher for a review copy of this book. I just love Sunday mornings, browsing blogs by book bloggers (alliteration unintended) who often post on this day. 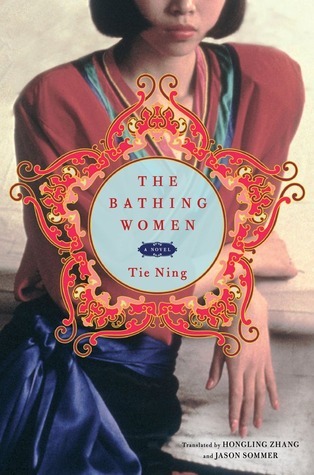 I found an interesting novel on Literary Hoarders' website - a book about contemporary life in China by Tie Ning. Browsing along this morning, I found an article that readers might like but which authors won't: Out of Touch: E-Reading Isn't Reading by Andrew Piper in Slate Magazine, listed by Man of La Book. The blog listed another controversial post on e-books, Fair Warning for Those Who Read E-Books, by Confessions of a Mystery Novelist. If you have mixed feelings about ebooks versus paper books, as I do, you will want to read these posts! I confess though, that I read all 1,000 pages of Murakami's IQ84 on a Kindle and might not have finished the book otherwise. That is one heavy book to carry around! What do you think about the no longer new e-book controversy? And what new books have you gotten or read or found recently? "Can you believe we have already been in Shanghai for almost a year and a half, Franz?" Esther asked from the armchair where she sat lengthening Hannah's school skirt. "Feels more like a lifetime and a half,"Franz replied. "Ja," Eshter sighed. "Quite a lot has happened since, no?" Description: In November 1938 after a night of terror for Jews across Germany, Dr. Franz Adler, a surgeon in Vienna, flees to Shanghai, China with his young daughter Hannah and his brother's widow, Esther. At a refugee hospital, Franz befriends Sunny, a nurse and the daughter of an American mother and a Chinese doctor. Franz struggles to keep the refugee hospital open and protect Hannah and Esther under deprivation, danger, and under Japanese occupation of the city. The danger escalates when Germany demands the return of Shanghai's Jews to Germany. Comments: I've long been interested in this period of history - Shanghai before and during occupation by the Japanese. I have also read about the German Jews who escaped to Shanghai, the only place left that would accept them, just before WWII began. Shanghai became a refuge at the same time for the White Russians, those displaced by the Bolshevik Revolution in Russia. These two groups joined the millions of Chinese refugees displaced by war and the Japanese presence, occupying the overcrowed multi-ethnic city of Shanghai. What is fascinating about The Far Side of the Sky are other little know historical facts the book brings to light. Many German Jews settled in Shanghai and only left in the late 1940s when Mao Tse Tung expelled all foreigners from China. Also new to me was that the occupying Japanese refused to turn over the Jews in Shanghai to their allies, the Germans. 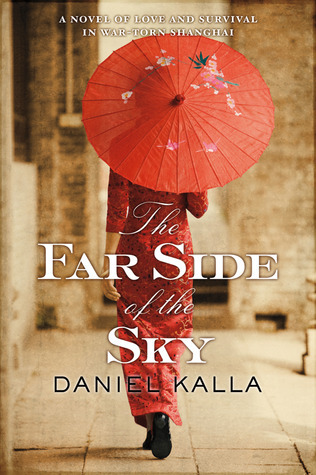 Very well written, Daniel Kalla' novel interweaves historical facts and persons into a story of family, survival and humanity in an account of one part of one of the most devastating periods in modern history. He makes clear at the end of the book just what is history and what fiction. "Daddy, what's the procedure when I'm missing a toxin?" Patrick O"Donnell's startled blue eyes flew to his daughter's face, expecting to see it laughing at having successfully pulled Daddy's leg. But it was frowning, troubled. He gave her a mug of coffee. "It depends, honey," he said calmly. "What toxin?" DESCRIPTION: 1969. A lethal toxin, extracted from the blowfish, is stolen from a laboratory at Chubb University. Biochemist Millie Hunter reports the theft at once to her father, Medical Examiner Patrick O’Donnell. Patrick’s cousin Captain Carmine Delmonico is on the case when the bodies start to mount up. 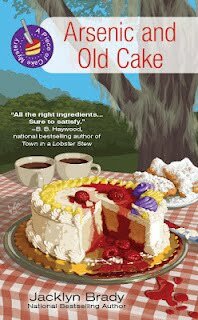 DESCRIPTION: With business going stale at Zydeco Cakes, Rita has plenty to worry about. But when the blind trumpet player Old Dog Leg Magee asks for a favor, she can’t say no. His brother Monroe disappeared forty years ago, and now someone has shown up claiming to be him. Old Dog Leg needs Rita to find out if it’s really his brother. Posing as newlyweds, Rita and her friend Gabriel check in to The Twisted Palms Bed and Breakfast, only to discover that Monroe’s true identity isn’t the only mystery to solve. When another guest at the Twisted Palms turns up dead, it seems the mystery man might also be a murderer. Maisie Dobbs, private investigator in London, 1933, is asked by Covent Garden costoermongers -fruit and vegetable sellers - to find the person or persons behind the suspicious death of Eddie Pettit, a simple minded man who had a special gift understanding and working with horses. Eddie was hit and killed by a massive roll of paper that had fallen from a conveyor belt in a paper manufacturing firm owned by an important newspaperman. To Eddie's friends, the incident was not an accident but deliberate. The mystery plot is tied to a larger scenario - Britain's preparing way in advance for a likely war with Hitler's Germany. Comments: The plot moves well - the life and death of Eddie Pettit, a simple worker, integrated with the larger political scene in England in 1933. This was my first introduction to Maisie Dobbs and to her lover James Compton, who unlike Maisie, belongs to a privileged and wealthy English family. I wish I had met Maisie in her first books and read about her early struggles growing up in the working class and the gradual improvement in her life before this book, which seems to be the ninth in the series. I felt as I read along I had missed out on a whole lot about Maisie and would have appreciated the character better if I had seen how she had developed. Nevertheless, this can be a stand alone read. "Did you happen to notice if she ate anything while she was at the theater?" Gigi Fitzgerald delivers her home-prepared meals to customers in her hometown, Woodstone, Conn. Someone tampers with the food container meant for a restaurant reviewer and pours peanut oil over the melba toast appetizers. The reviewer goes into a fatal anaphylactic shock after popping one of the toasts into her mouth, driving off, and crashing her car headlong into a tree, Gigi insists to police she never uses peanut products in her recipes, especially knowing her customer's allergy. Comments: The plot was very well developed and though death-by-allergic-reaction-to-food is not a new device in mystery novels, Allergic to Death was especially well done. It kept you guessing, even though at the very end, the identity of the culprit was not a complete surprise. The motive was a surprise, however. Gigi is a new character on the cozy mystery scene and she has two love interests which I can tell will be developed in the next books. I am looking forward to the next in this new series. 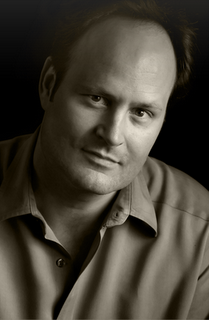 Timothy L. Brien tours with the Historical Fiction Virtual Book Tours for his historical thriller, The Lincoln Conspiracy, from October 29 - December 7. That quote, if I may jump the gun here, is key in the question of why President Lincoln was assassinated, according to this new historical thriller set in 1865, right after Lincoln's death and funeral. Metropolitan Police Detective Temple McFadden becomes embroiled in a shoot out at the train station that kills a man carrying two vital pieces of information, two diaries - one belonging to the president's widow Mary Lincoln and the other to John Wilkes Booth, who had shot the president. Booth's diary contains letters in code to and about unknown persons - Maestro, Patriot, Tyrant, Conductor, Avenger, Lord War, and more. Temple and his group must decode and interpret these as vital clues to the other people involved in Lincoln's murder. 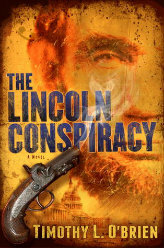 The Lincoln Conspiracy is a thriller that would appeal to history enthusiasts and those interested in President Lincoln and U.S. Civil War history. 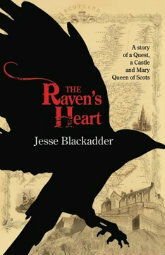 The author has woven historical facts and historical people and places into a novel of intrigue. Publisher's DESCRIPTION: This thriller poses a provocative question: What if the plot to assassinate President Lincoln was wider and more sinister than we ever imagined? Temple’s quest to bring the conspirators to justice takes him on a perilous journey through the gaslit streets of the Civil War–era capital. Aided by an underground network of friends—and by his wife, Fiona, a nurse who possesses a formidable arsenal of medicinal potions—Temple must stay one step ahead of Lafayette Baker, head of the Union Army’s spy service. Along the way, he’ll run from or rely on Edwin Stanton, Lincoln’s fearsome secretary of war; the legendary Scottish spymaster Allan Pinkerton; abolitionist Sojourner Truth; the photographer Alexander Gardner; and many others. The Lincoln Conspiracy offers a riveting new account of what truly motivated the assassination of one of America’s most beloved presidents—and who participated in the plot to derail the train of liberty that Lincoln set in motion. Thanks to Amy Bruno at The Historical Fiction Virtual Book Tours and the author/publisher for a review copy of this book. Book description: A national bestseller about a chef, her students, and the lessons that food teaches about life. Once a month, eight students gather in Lillian's restaurant for a cooking class. Among them is Claire, a young mother; Tom, a lawyer; Antonia, an Italian kitchen designer; and Carl and Helen, a long-married couple. The students have come to learn the art behind Lillian's soulful dishes, but each seeks a recipe for something beyond the kitchen. Soon they are transformed by the aromas, flavors, and textures of what they create. In Geneva, Switzerland, Abby Monroe is being prepped for her work with the UN in Peshawar, Pakistan as a nurse. 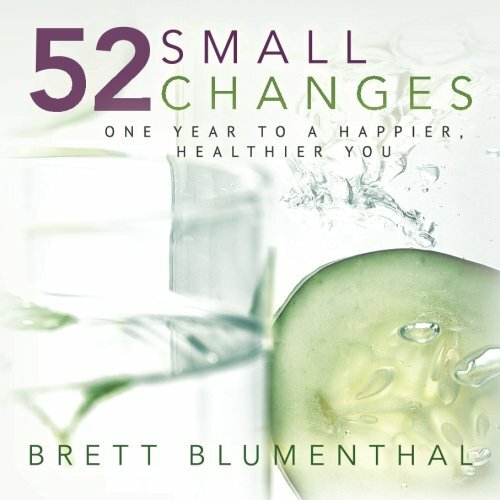 During an early morning run, she sees a woman fall to her death from a hotel balcony, and doesn't know if she has witnessed a murder, a suicide, or an accident. She notices an unusual and elaborate bracelet made of precious stones on the dead woman's wrist. When a man shouts at her from the balcony and rushes down to confront her, Abby fearfully hides from him and hurries away. In Peshawar, Abby once again sees the unusual bracelet. Abby is puzzled by this and feels she is being observed and followed. She tries to see if she can recognize the man from the balcony. During her work as a UN nurse, Abby also meets New York Times reporter Nick Sinclair, and they both try to discover who is behind a far reaching human trafficking ring that preys on women and girls from the villages. This provides further drama and explosive action in the novel. My comments: I enjoyed the suspenseful plot surrounding the unusual bracelet. It was a good story and an excellent vehicle for the novel to describe human trafficking of women and girls taken or lured from their villages and then forced to work under demeaning conditions. The descriptions of women shelters and camps are realistic, even more convincing when I learned the author was a nurse and humanitarian aid worker in several war zones, from Afghanistan to Africa. 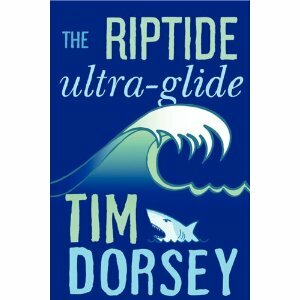 I recommend this novel on several levels. 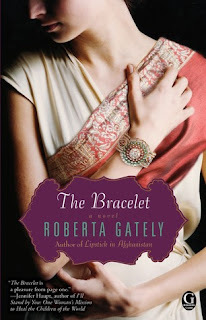 Roberta Gately is also the author of Lipstick in Afghanistan. Thanks to Gallery Books for an ARC of this book. This post I printed on November 18, 2009 gets a good number of hits from people looking for funny mystery novels. I've updated the Left Award winners for Best Humorous Mystery. Left Coast Crime 2013 will be held in Colorado Springs, Colorado, March 21-24. What funny mysteries have you read and would add to the list? About the book: Maggie Hope has been promoted to MI-5 as a secret agent/spy during WWII but because she fails the physical tests, she is assigned to watch and protect the young Princess Elizabeth at Windsor Castle, under the guise of being her math teacher. The deaths of two young women, one of them a lady in waiting at Windsor Castle, become linked to a master plot that threatens the royal family. 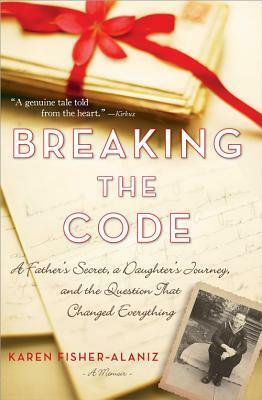 Maggie and her father, a cryptographer working for the government at Bletchley Park, are also involved in cracking enemy codes and rooting out spies against the royal family and the English during the war. Comments: I learned a lot about England during the war - the relentless bombing of London and other cities, their efforts to find planted spies, decode messages from Hitler's Germany, and block German plans to have King George VI replaced by his older brother Edward, who had abdicated to marry an American divorcee. Fascinating, heady stuff, though I don't know how much of the details is based on fact and how much is fiction. I would have liked to see a more detailed disclaimer at the end of the book, though there is a list of books the author used for her research. The plot is purely entertainment, outside of the historical facts. It has the Princess Elizabeth, a young, blue-eyed girl, taking part in an improbable plot of mystery and suspense. The author clearly admires how the British conducted themselves during WWII and has written about the present royal family's history and the princess in a somewhat sentimental way. Princess Elizabeth's Spy ends with a question regarding Maggie's mother, which will lead this spy/sleuth into the heart of Berlin, in the follow up book. I am looking forward to it. 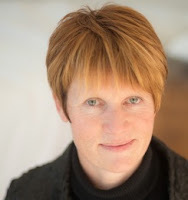 Susan Elia MacNeal is the author of the Maggie Hope mystery series, including her debut novel, Mr. Churchill’s Secretary, Princess Elizabeth’s Spy, and the upcoming Hitler’s Nightingale. She lives in Brooklyn, New York, with her family. 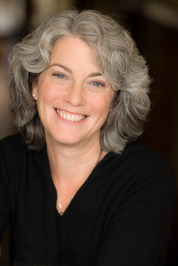 Visit her website at SusanEliaMacNeal.com. 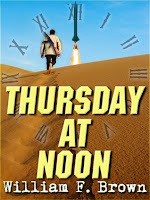 For other reviews, visit the book's tour schedule. 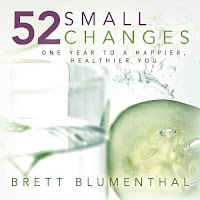 Thanks to TLC Book Tours and the author for a review ARC of this book.